Return all cards from your graveyard to your hand. 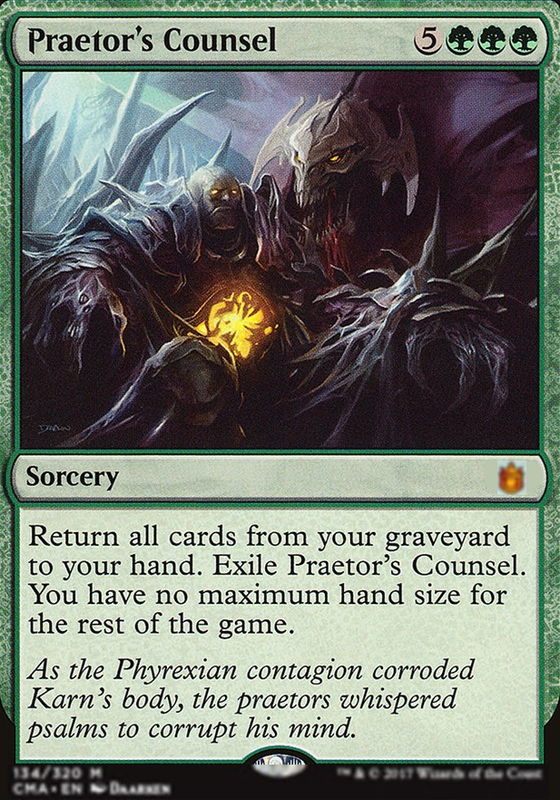 Exile Praetor's Counsel. You have no maximum hand size for the rest of the game. It depends. Sometimes you dropped your hand down to 2 cards, so a new fresh hand is good for you in the first place. If you're against decks that have already tutored something, have filtered the top or have drawn huge amount of cards (like with Praetor's Counsel ), you are forcing a shuffle, so both of those go away. You disrupt their previous game plan and you all start again at the same hand size. You also have the added political power to look at players who are having a bad time or running low on gas and tell "hey, if I do this, can we have a deal?". You also disrupt any graveyard strategy with these cards, because you force the graveyard reshuffle. There are lots of things going on and everything depends on meta and situation, but I'd say it's always nice to have the possibility to say this flavour text . Hello Sergeant_Scrumptious! Nice deck !! I really like more and more commander´s around the lands theme and you give me one more alternative!! 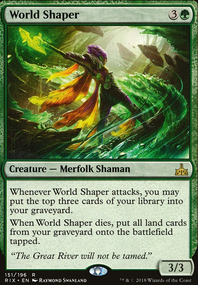 World Breaker one best removal in commander. 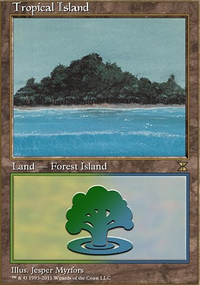 I just created a deck with muldrotha's lands theme (in my profile), give it a look if you have time to get ideas and help me evolve the deck! Few suggestions: It's already been mentioned, but Beast Whisperer seems great in your deck, along with Guardian Project and Zendikar Resurgent . Paradox Engine is a bit pricey, but it's a great engine with the aforementioned cards and elves. I know sol ring isn't a creature, but it's hard to argue with a turn 2 Goreclaw. Craterhoof Behemoth and Pathbreaker Ibex help close out games. Praetor's Counsel is a good insurance policy against board wipes. Bane of Progress barely affects you. Wolfbriar Elemental isn't the best win-con, but making random 2/2s helps against edict effects like gravepact and dictate of erebos. Greater Good is another great card-draw option, and lets you sac in response to spot removal or dig for answers. Hope this helps! Now, I don't know if slow and steady is your favorite kind of strategy, but either way, talking about the speed of the format is a good place to start. The first thing to note, as I mentioned earlier, is that it is perfectly okay to be slow, but you should expect your opponents to be fast. Now decks, of course, lose to different kinds of interaction, so when choosing how to slow the game down before sideboarding I recommend using a combination of the cards that have the most reach across multiple strategies and the ones that are the most efficient. Assassin's Trophy for example, is a pretty good piece of removal, it has a very, very wide reach, it's pretty cheap, it's drawback doesn't matter greatly against fast decks as they quite often won't need the extra land, and against slow decks, its reach kinda makes up for that drawback anyways. Now that you have some ways to slow down the game to a pace you feel comfortable with, you need a way to justify doing so. You need some payoff cards. You've practically got that covered already. The Scarab God is a card I kinda like seeing here. 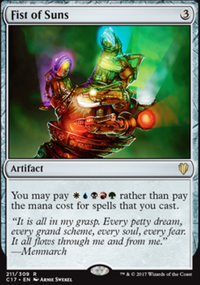 It's not so expensive that you can't use it as an extension of your anti-speed cards, (Being a blocker and all,) plus it quickly outvalues almost anything faster decks can do, and it demands an answer from your fellow midrange players, or they will be outvalued as well. Praetor's Counsel , on the other hand, I don't like. 8 mana, even if you manage to slow the game down, is a lot. There are decks in modern that can support 8 drops, but they are few and far in-between. Even some of the slowest decks in the format actually end their curve at 5, (though 6 and 7 drops are sometimes seen as well.) It's simply a question of payoff vs consistency, and Praetor's Counsel got neither. Even if it resolves it does nothing on the turn you play it. It takes another full turn to do anything beyond that. I'm off to bed now. I'll get into how to beat different linear decks tomorrow. Yo yo ManaLocked! I found myself with some downtime to tinker around, and I was just thinking about Khalni Heart Expedition . Great minds. Either this needs more sac outlets, or I need to be more aggressive about bouncing/flickering Toothy early. A little more ramp (a la Khalni Heart Expedition et. al.) would be nice. Maybe one more "unlimited hand size" card. Things get ugly if you lose both Thought Vessel and Reliquary Tower . Thinking Praetor's Counsel , but CMC is putting me off. More to come after a few more group tests this weekend and next week. Creeping Renaissance can either get a lot of your instant tricks back or a good number of creatures if you've been wiped a few times. There's also Praetor's Counsel but renaissance is cheaper. I dig the bounce Toothy (or other useful creature) tech. That comment about needing Nexus of Fate is exactly why you don't want it or the other auto includes. Boring B.S. This deck actually looks fun. Psychosis Crawler would do some work, but you've gone down that road before. How have I not seen Forge of Heroes ? Beast Within over Rapid Hybridization ? 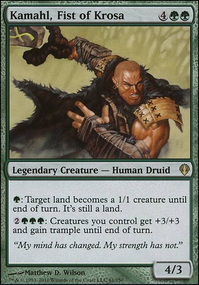 I know it costs 2 more, but more flexible and you've driven down the CMC of the deck as it is. Shadow Rift over Slip Through Space ? I'm not seeing why the colorless makes sorcery speed better, or the slight risk of running into a Nether Traitor. I don't think the cycling makes Dissenter's Deliverance better than Deglamer . Glen Elendra Archmage is probably an auto include you should include considering how many uses you'd likely get out of it.